"Let it snow, let it snow, let it snow!" It rarely snows here in Austin and, when it does, never more than an inch or so - but I always hold out hope that one of these days we will finally get to enjoy a white Christmas! 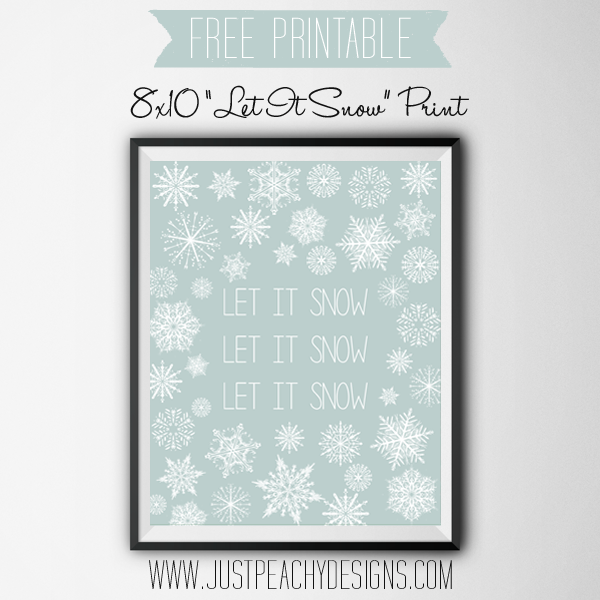 If you also crave snow during the holidays, then this printable is for you! Just click the image above to download. Enjoy!